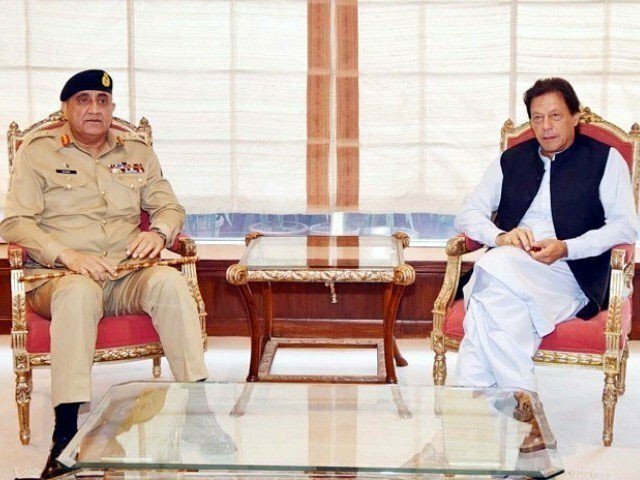 Prime Minister Imran Khan and Chief of Army Staff (COAS) General Qamar Javed Bajwa discussed Afghanistan peace process and overall security situation of the country in a meeting at PM House on Wednesday. Director General of Inter-Services Intelligence (ISI) Lt Gen Naveed Mukhtar was also present during the meeting. The meeting follows a top US diplomat’s meeting with the prime minister over the Afghanistan issue. Special Representative for Afghanistan Reconciliation at the Department of State Zalmay Khalilzad had reiterated US President Trump’s message of seeking Pakistan’s support for a peaceful resolution to the Afghan conflict during the meeting in Islamabad. PM Imran reiterated that Pakistan has always wanted this and that reconciliation is the only solution towards peace. Imran Khan said he personally wished for regional peace and that Trump’s letter urging Pakistan to back peace was welcomed.